Below we have put together a step by step guide that should resolve most of the damage done by this false positive. 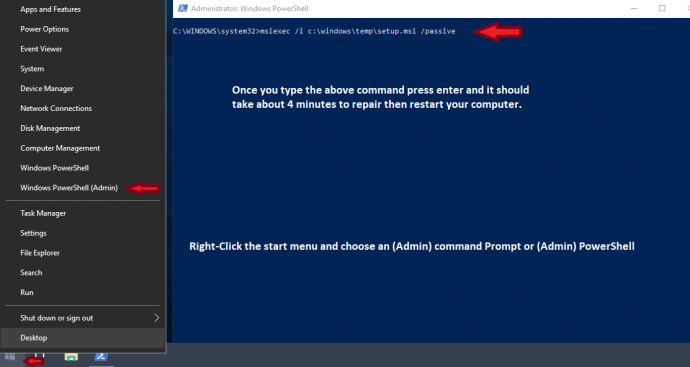 To begin start by making sure your VirusScan Enterprise is running at least 9229 and has restarted recently. 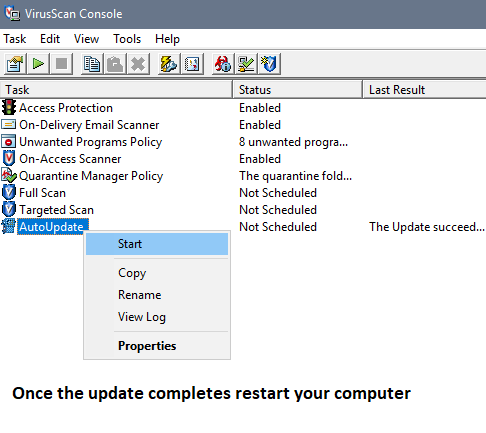 Step One: Update VirusScan Enterprise and reboot your computer. You can open "VirusScan Console" by looking in your Windows Start Menu under "McAfee"
Once your computer has restarted you can check to be sure it is now running DAT Version 9229 or higher by opening "VirusScan Console" found in your Start Menu often under "McAfee" and then choose "Help" and "About VirusScan Enterprise" and it will display the DAT Version. 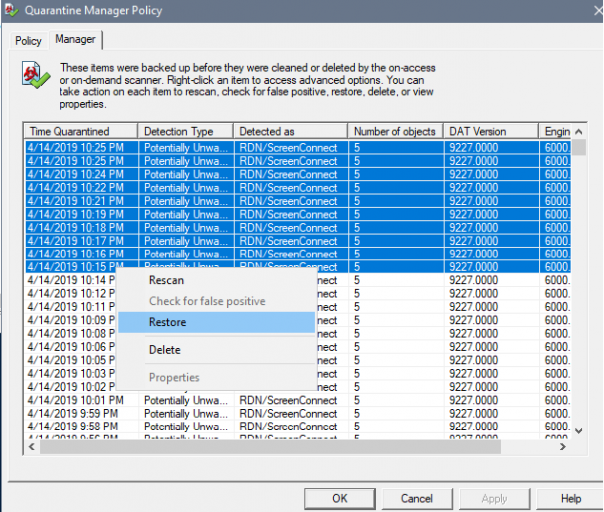 Step 2: Right-Click "Quarantine Manager Policy" and choose "Properties" and then at the top left corner the "Manager" tab. Next highlight the most recent 20 events and then right-click them and choose restore, you can highlight all 20 at once holding down the ctrl key as you select. It may take about 4 or 5 minutes to restore these items but once they are complete it will display a message of completion and we can move on to the third and final step. Step 3: Repair the install. 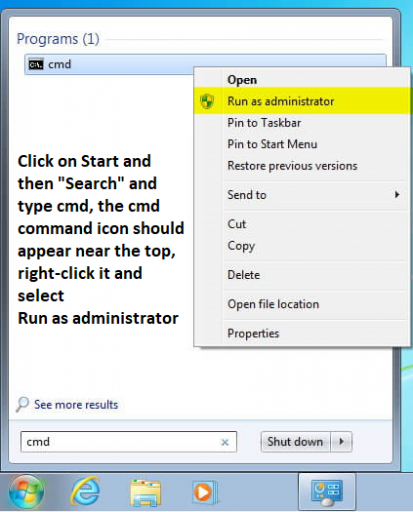 This last step involves opening an (Admin) command window and typing one command, Start by Right-Clicking the Windows Start Menu in your bottom left corner of your computer. Here are some screen shots to guide you, the command can be copied and pasted from here to avoid manually typing it if you prefer. After completing the final step and logging back in to your computer you should not see anymore VirusScan Messages and if you are please contact your network administrator. You should also notice the return of your support systray icon.